Silco Pharmaceuticals Limited IPO Lottery Result published on 10 April 2019 & found here. 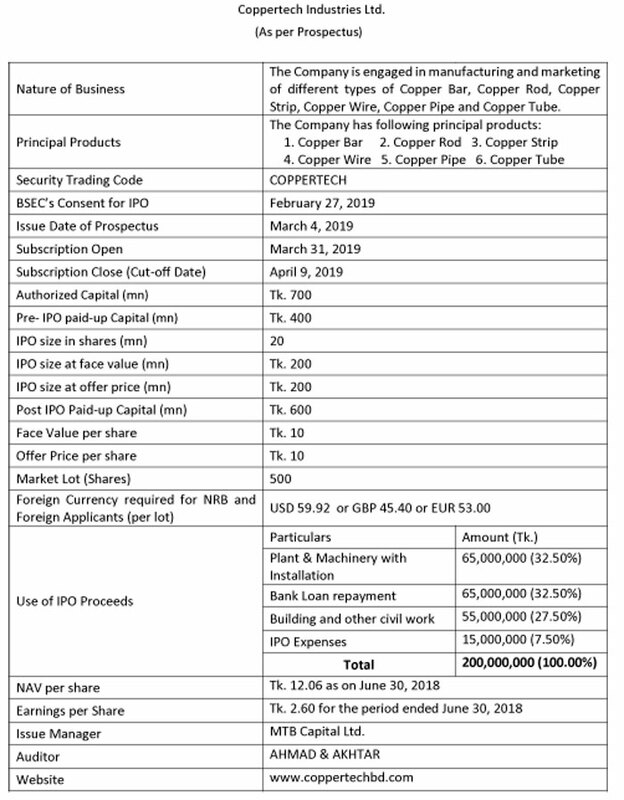 Coppertech Industries Limited Subscription Open March 31, 2019, Close: April 09, 2019. Silco Pharmaceuticals Limited Subscription Open March 07, 2019, Close: March 19, 2019. New Line Clothing Limited IPO Lottery Result & Information. New Line Clothing Limited, Subscription Open: February 18, 2019, Close: February 28, 2019. Esquire Knit Composite Limited IPO Lottery Result published on 07 February 2019. Genex Infosys Limited IPO Lottery Result published on 20 December 2018 & found here. Runner Automobiles Limited Subscription Open: January 31, 2019, Close: February 10, 2019. BSEC has approved the IPO prospectus of Silco Pharmaceuticals Limited. New Line Clothing IPO Approved. S.S. Steel Limited IPO Lottery Result 2018 published on 29 November 2018 & found here. Genex Infosys Limited Subscription Open: November 18, 2018, Close: November 29, 2018. 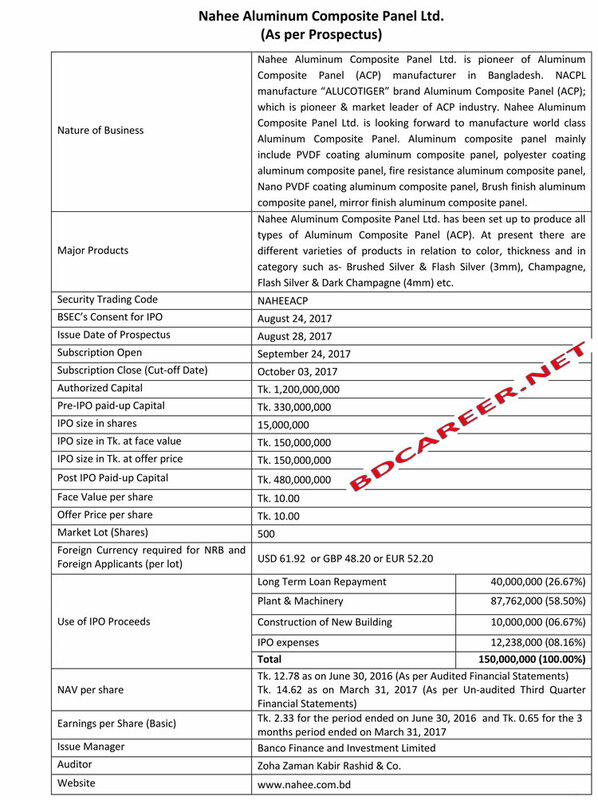 S.S. Steel Limited Subscription Open: October 28, 2018, Close: November 07, 2018. Kattali Textile Limited IPO Lottery Result published on 04 October 2018 & found here. 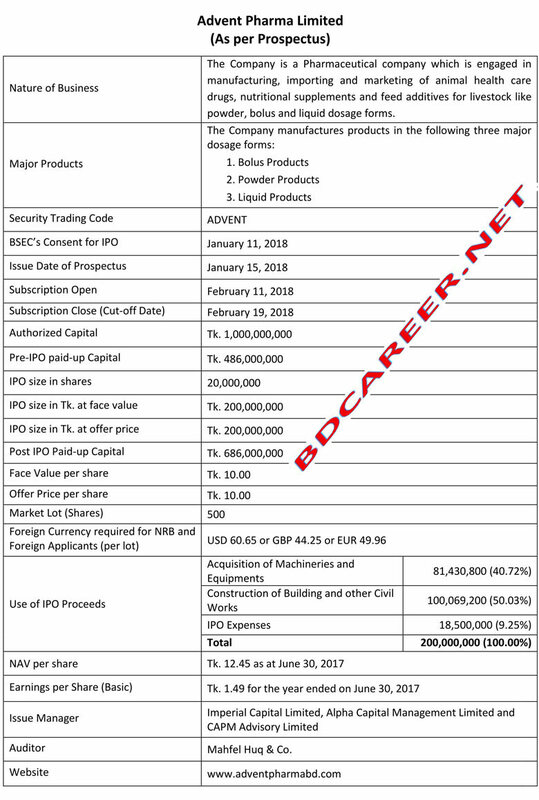 Indo Bangla Pharmaceuticals Limited IPO Lottery Result has been published on 11 September 2018 & found here. Silva Pharmaceuticals Limited IPO Lottery Result Published on 30 August 2018. Kattali Textile Limited Subscription Open: August 28, 2018, Close: September 13, 2018. Indo Bangla Pharmaceuticals Limited IPO Lottery Result may be Published on 12 September 2018. M.L. Dyeing Limited IPO Lottery Result Published on 09 August 2018. Silva Pharmaceuticals Limited Subscription Open: July 29, 2018, Close: August 05, 2018. Indo Bangla Pharmaceutical Limited Subscription Open: August 09, 2018, Close: August 16, 2018. VFS Thread Dyeing Limited IPO Lottery Result published on 19 July 2018 & found here. Aman Cotton Fibrous Limited IPO Lottery Result Published on 04 July 2018. M.L. Dyeing Limited Subscription Open: July 08, 2018, Close: July 19, 2018. VFS Thread Dyeing Limited Subscription Open: June 24, 2018, Close: July 02, 2018. 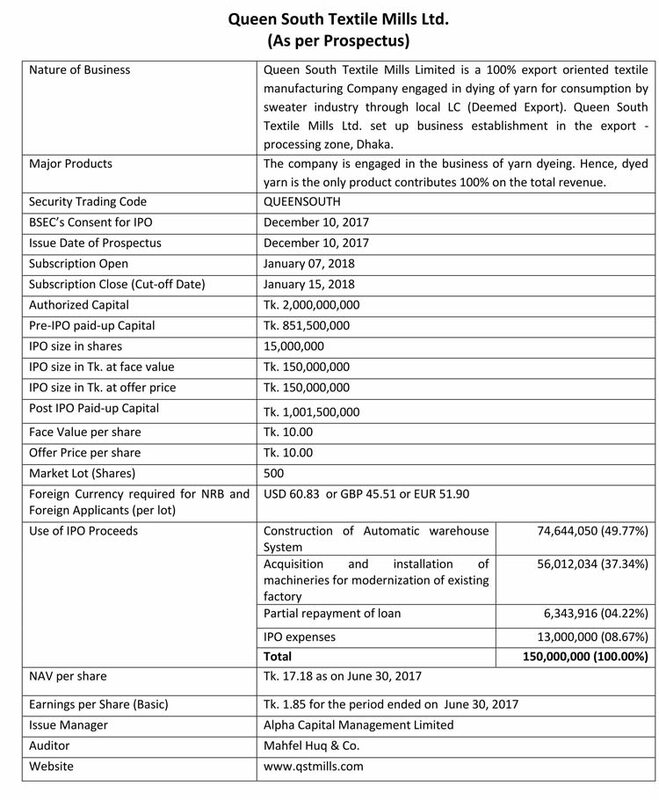 SK Trims Industries Limited IPO Lottery Result published on 12 June 2018 & found here. Aman Cotton Fibrous Limited Subscription Open: June 03, 2018, Close: June 10, 2018. Bashundhara Papers Mills Limited Share Transaction started from 02 July 2018 & found here. SK Trims & Industries Limited Subscription Open: May 14, 2018, Close: May 22, 2018. BASHUNDHARA PAPER MILLS LIMITED Subscription Open: April 30, 2018, Close: May 09, 2018. Intraco Refueling Station Limited IPO Lottery Result Published on 17 April 2018. Intraco Refueling Station Limited subscription Open 18 March 2018 Close 27 March 2018. ADVENT PHARMA LIMITED Lottery Result Published on 13 March 2018 Details click here. Nahee Aluminum Composite Panel Limited IPO Lottery Result. IPO Latest Update News found here. The IPO Latest Update Information news helps you to update current information on all Share related information of BSEC(Bangladesh Securities & Exchange Commission). Runner Automobiles Limited IPO Lottery Result Published on 04.03.2019. If you want to know about latest information about “IPO Latest Update Information News” please always stay and follow this site BD Career.